And an essay on John Ashbery’s influence. or was that from another last night? pausing in mid-flight, to take another direction? for many years, imprisoned, a ward of the state. to call the shots pretty much as they come. এছাড়া আর কি ভবিতব্য ছিল তোমার? It gets lost in the stream and chatter of typewriters. A chorus of smiles, a winter morning. These accents seem their own defense. when we leave the land to travel overseas. I could get away with it. of perjury, in some books the most serious crime of all. into my constrained idea of myself. someone will see through and love me. unsure of what to grab. The tuneless sing to me. And pike stirred at the bottom of the pond. The pen was cool to the touch. Already distilled in letters of the alphabet. Past us into a basin called infinity. Had been left open intentionally. Don’t follow, you can have whatever it is. Finds it dry and hollow, porous to the touch. In the leaves is saved, the last silver drops. *Vetiver is a fragrant extract or essential oil obtained from the root of an Indian grass, used in perfumery and aromatherapy. Even of dying, the fuzzy first thought that gets started in you and then there’s no stopping it. I had my first pass at John Ashbery’s poetry during the last of my teen years, in National Library, Kolkata where I had chanced upon a copy of Shadow Train. I don’t remember much of that first exposure except for a faint feeling of ricocheting at the stolid, textual opacity of those poems. 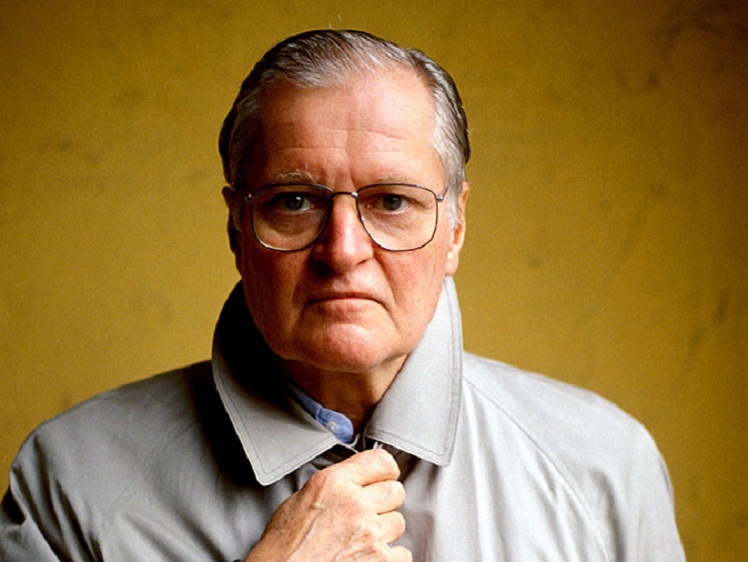 My first serious engagement with Ashbery’s poetry happened one and a half decades later as I was beginning to settle down in South-West Ohio in Cincinnati, which I would later call home. In a bid to understand the workings of post-modern American poetry, first symptomatically, and then spiritually, I chose two poets from the New York School to focus on, in the usual genealogical order – John Ashbery and Ted Berrigan. The carefully planted and often deceiving digression of speech, which Ashbery had sculpted into an art form, began to appeal to me. More things offered pure magnetism as I started reading his books in a non-chronological order. The serpentine journey through street-side corollaries before the hazy theorem appeared or never appeared, ending the tunnel with an illuminated haze, became a personal passion. A constant de-glorification of the position of the poem was also conspicuous. Naughty manipulations and often self-destruction of a saucing lyric (as in ‘Vetiver’, ‘Hotel Lautréamont’ and numerous other poems) and the childlike mirth of playing with randomly chosen colours, tunes, and muck brought me the courage I needed to pursue directions my own poetry was leaning towards, but with more vigour, surety and determination now. Most of Bengali poetry, by tradition, is a curry with barely any meat and vegetables in it except for a few rounded potatoes. Opposed to these poetic traditions — which was aggravated more by my cultural exile in North America — the shape and weight of the poem’s content became more important than the quality of textual gravity that mingled language, expression, syntax, rhythm, metaphors — sources of personal flourish many Bengali poets cultivate. I was close to forty by then, had read a plethora of world poetry, published over hundred poems, two books and had been associated for more than a decade with Bengali experimental poetry genres. These were propounded by groups/ magazines like Kaurab, Kabita Campus and Natun Kabita, where I had worked as an editor or associate editor. With a hunger for knowledge and a passion for multi-epistemology, I was leaning in directions where John Ashbery’s poetry had accentuated and catapulted to unreachable heights. The singular ‘modernist’ content I had long rejected, and was beginning to feel that the poem needs be a crumb-can than a smooth, monolithic loaf. 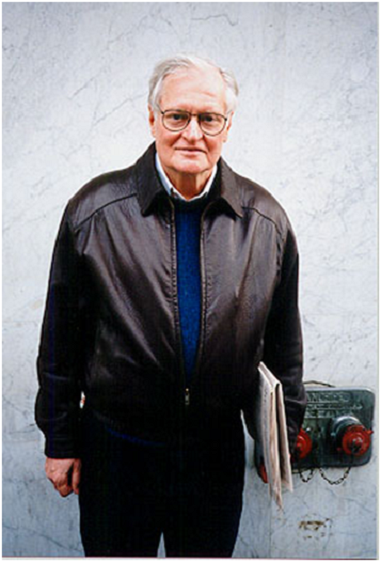 The decentralised theme and constant revisitations of sub-themes, carefully deceiving manoeuvers of what I would call ‘derivative themes’ and a widely stretched vocabulary gives John Ashbery’s poetry a quality that remains unmatched in the English-speaking world. There were lessons to learn from everywhere, to get into his poetry, gather the beautiful shells of floral print and then depart in a variety of ways. In a way, for a non-academic reader of poetry like me, who is rooted in another poetic and linguistic tradition, the Ashberian poem offered a porosity though which I could stream my fluids with ease and leave with strange scents and flavour. Later on, interestingly, while going through my first book of English language poems transcreated from Bengali, late night correspondence, some poets close to John Ashbery felt that there was no apparent influence, while my preface writer, poet and scholar Tyrone Williams felt ‘Ashbery’s influence is palpable’. On what had been the thematic mainstay of Ashberian poetics, critics through generations have appeared vexed with early pessimists banishing it as ‘nothing’ (is what Ashbery writes about) to the illustrious Harold Bloom hailing him as a luminary in ‘the American sequence that includes Whitman, Dickinson, Stevens and Hart Crane.’ Many critics of the later years thought ‘poetry’ or ‘writing’ was what John Ashbery was almost always writing about. The poet’s own self-reflection on the subject has been variegated too, until a point in time came when he confessed, ‘as I have gotten older, it seems to me that time is what I have been writing about all these years during which I thought I wasn’t writing about anything’. ‘I have probably been influenced by the modern art that I have looked at. Certainly the simultaneity of cubism is something that has rubbed off on me, as well as the abstract expressionist idea that the work is a sort of record of its own coming into existence. The process of writing poetry becomes the poem. This was radically demonstrated by action painters such as Jackson Pollock and Willem de Kooning’. The conspicuous presence of the mise-en-abyme in Ashberian poetics has often been highlighted. In an intriguing parallel with ‘art-about-art-making’ much of his poetry was about the conundrum and contradictions of writing poetry. This had become a platitude by the late 1990s. Such tendencies certainly propelled me to incorporate place-holders for brief, critical discussions on the pursued poetics in many of my poems. As several younger poets in my coterie began to imbibe this approach, I became more conscious of it and veered away. Cinema was another common interest. Movies had been an influence in John Ashbery’s poetry since his early years. D.W. Griffith’s The Lonedale Operator was the loaned title of an Ashbery poem from A Wave (1981). In the august years of his life, Ashbery came in touch with several younger filmmakers – American, Canadian and European, who had been influenced by his poetry and were now weaving that into their own cine-work. Abigail Child, Nathaniel Dorsky, Jorgen Leth and most notably Guy Maddin have all confessed to casting Ashbery’s halo on their work in one way or another. Interestingly, during a 2007 interview, John Ashbery told me about his loose collaboration with Jorgen Leth and particularly Guy Maddin, whose work had been introduced to him by my friend and acclaimed poet Peter Gizzi. In fact, it was Gizzi who put me in touch with Ashbery sometime around 2005. Introduced late into his work, I was literally devouring John’s work, reading his poetry and critical commentary about his poetics in very oblong and haphazard ways. I remember speaking with John a couple of times over phone about the self-sponsored Bengali translation project I had just begun. David Kermani, Ashbery’s partner and literary steward of many years, got in touch and offered enormous help providing, among other things, key resources from The Flowchart Foundation in completing my five-year-long project. My Bengali book of translation, essay, interview and bibliography Ei Ghor: John Ashbery’r Kobita (This Room: The Poetry of John Ashbery) was published by Patralekha Press, Kolkata in 2010. Translations and essay © Aryanil Mukherjee. Aryanil Mukherjee (b. 1964) is a bilingual poet, translator, and editor who grew up in Kolkata, India, and later emigrated to the United States. He has authored ten books of poetry and essays in two languages. Widely published in both Indian (Bengali) and American poetry circles, his work has been featured in many anthologies, including the HarperCollins Book of Indian Poetry in English (2011), the Indian Poetry issue of TLR, Indivisible, an anthology of South Asian American poetry, and Pared de Agua, an anthology of contemporary Bengali poetry (Olifante Press, Madrid, Spain). He edits Kaurab, a much-celebrated Bangla literary magazine of experimental poetry and literature published since 1970. His poetry has been translated into Hindi and Spanish. A PhD in aerospace engineering, Aryanil works as an engineering mathematician and lives in Cincinnati.